It’s almost ethereal to think that my home-and-native-land gets to host the 2010 Winter Olympics in just over a month. I am proud that British Columbia gets to flaunt its grandiose beauty to the world. Back home in Toronto, a friend from Vancouver told me an apt description of the province’s landscape: Rural Ontario is picturesque, but B.C. is sublime. After seeing it for myself last May, I can say he was articulately poignant. I would like to give a big shout out to John Lee, who wrote an article for the Daily News about how to navigate the 2010 Games. He takes us on a scribed tour of what to see and where to see it. 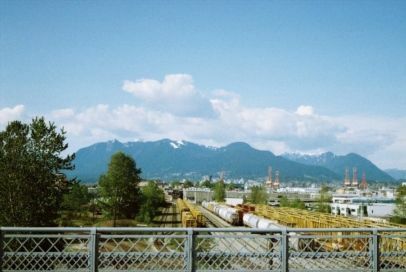 Due to downtown-Van being a pint-sized peninsula, most of the skating and downhill events take place on the outskirts of the core in the suburb of Richmond or via a short drive to Whistler Village. The Olympic Village is situated just outside downtown in False Creek, appropriately named for there is no creek there — more like an large inlet of water. Hockey lovers will be excited to hear that the battle for gold will be at the B.C. Place, Canada’s first domed stadium. Nevertheless, the venues that the province has chosen seem to be within a reasonable distance of one another. However, as Lee pointed out, there is more to do in Vancouver than just watch people freezing in spandex (no matter how much fun that sounds). This being the Olympics and all, many countries are heading to the games to promote tourism to their own countries, like Germany who will be on hand selling gigantic bratwursts or Holland who will be livening things up with their own beer house. It sounds sublime. If you happen to be in Van-city while the Games are going, check out this interactive map from The Globe and Mail where you can find reviews of places to eat, sleep, drink. Enjoy the view, it’s one of Canada’s best.